London: In the latest crisis for Britain’s beleaguered government, the international development secretary cut short a trip to Africa on Wednesday amid demands she be fired over unauthorised meetings with Israeli politicians, including the Prime Minister. 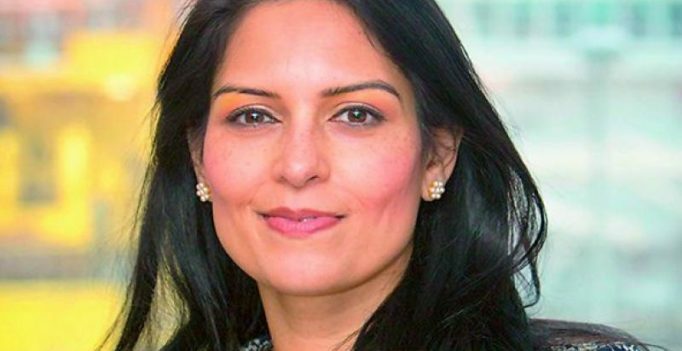 Priti Patel was flying back to London after Prime Minister Theresa May ordered her to return to face a reprimand and possibly the sack. She had been due to attend events in Uganda. Ms Patel has been under pressure since it was revealed that she held 12 meetings with Israeli groups and officials, including Prime Minister Benjamin Netanyahu, during a vacation in Israel in August and that she hadn’t told Ms May or colleagues about it. The meetings were arranged by Stuart Polak, a corporate lobbyist, member of the House of Lords and honorary president of the group Conservative Friends of Israel. Israel’s Haaretz newspaper reported on Wednesday that Ms Patel visited an Israeli military field hospital in the Golan Heights during her trip. Britain regards Israel as illegally occupying the territory, which it captured from Syria in 1967. Ms Patel’s situation has been made worse by her contradictory statements about the meetings. Ranveer feels Deepika is marriage material, Prakash Padukone reacts!